The Virginia Class fast attack submarine, the USS John Warner, was just commissioned into service. She is the second Block III Virginia Class boat to be produced, and has a pair of new huge Virginia Payload Tubes on her bow. These replace twelve individual vertical launch tubes used to fire Tomahawk missiles in previous Virginia Class boats. As you can see in the photo above this is a new capability that the Navy is proud to showcase. You can read all about this new vertical launch system and the John Warner here, but to put it simply, the Virginia payload tubes’ large diameter and modular nature allows it to be adapted to larger diameter missiles in the future, breaking the previous 533mm diameter restrictions of the Tomahawk cruise missile. This will allow Virginia class submarines to more easily field emerging technologies, like hypersonic long-range missiles and it could even be used to launch and recover large autonomous unmanned underwater vehicles that can come and go for days, or even weeks at a time. The Virginia Payload Tubes are an innovation that came from the Navy’s brilliant decision to reconfigure their oldest four Ohio Class SSBNs into conventional missile arsenal ships and special operations platforms. This saw the Ohio’s rows of Trident Ballistic Missile launch tubes being converted into launchers that hold clusters of seven Tomahawk Cruise Missiles each. Now the Navy is looking toward this capability to offset the drastic loss of deployed cruise missiles when the reconfigured Ohio Class SSGNs begin retiring in the the coming decade. This will see the fifth block of Virginia Class boats getting an addition four of these tubes grafted on to their hulls behind their sail. This initiative and light redesign is referred to as the Virginia Payload Module. These four additional tubes will add another 28 Tomahawk Cruise Missiles to the majority of the yet to be produced Block V Virginia Class boats. Because of these new tubes intercontinental ballistic missile-like diameter, one could wonder if a ballistic missile armed Virginia Class could be in the Navy’s future. 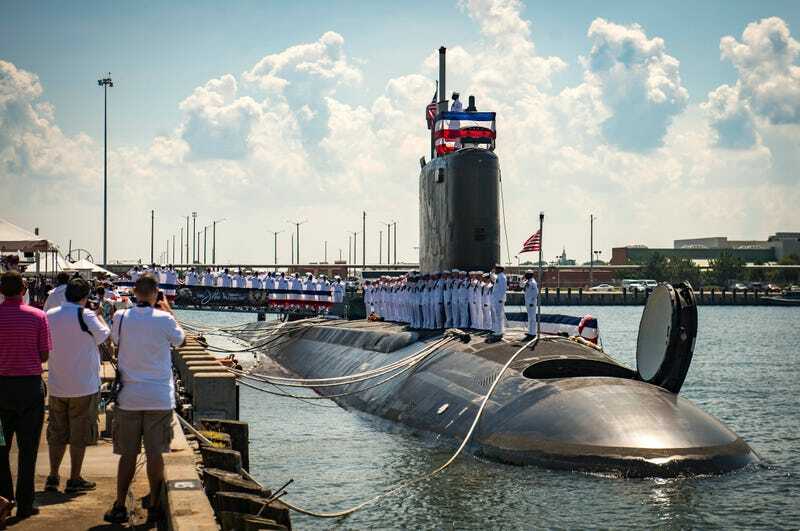 It would be at least one way to help with what is a growing possibility of a nuclear deterrent shortfall if the already cash strapped Ohio Class SSBN replacement does not go exactly as planned. Yet even if the Virginia Class Block III, or more relevantly Block V boats were capable of wielding SLBMs, it would lock them into a very different mission set then the wide array of roles they were designed for today. Instead of collecting intelligence, launching frogmen in mini-submersibles and hunting for other submarines and for surface targets, a nuclear ballistic missile armed Virginia Class would be tasked with just hiding for long periods of time. Is This Semi-Autonomous Mini Submarine The SEALs&apos; Next Super Weapon? Yet some say that the near invulnerability that the American SSBN has enjoyed for decades will erode in the coming years. As such, putting the nuclear ballistic missile capability on multi-mission subs, and building many more of them, may make more operational and fiscal sense than rebuilding a traditional stand-alone nuclear deterrent submarine force. Regardless of if the Virginia Class could carry ballistic missiles or not, new boats in the class going forward will be more reliable, upgradable and flexible than their predecessors because of this new launch system.